Attention BlopShoppers! 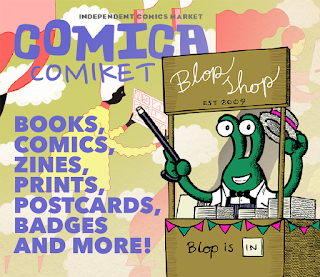 This weekend, on Saturday 14th May, Alex will be at the Comica Comiket, held at the house of Illustration in London (just behind King's Cross station). There's various activities and lots of other small-press creators selling work too, so do check it out. Alex will have his great selection of books and images, as well as some brand new keyrings and prints. There's only a few copies of You know who wear the Lion-Skin in this relationship left, so Saturday may be your last chance to get hold of one! 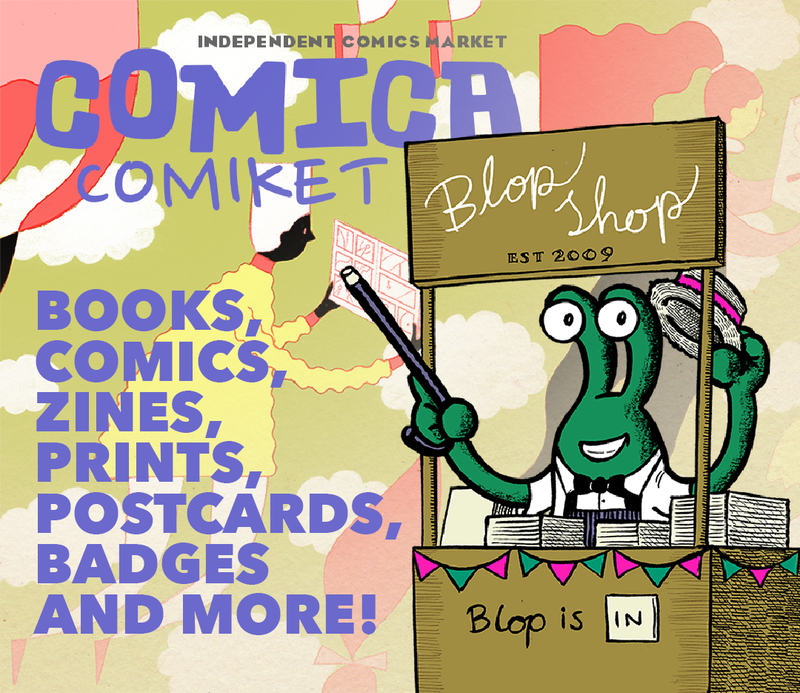 Of course, if you can't make it, You can find almost everything online at BlopShop!